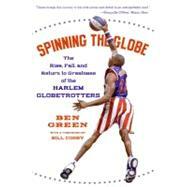 Basketball Books - Books on Sports - Sport Books: Catalog of books about your favorite sports. 2019 Basketball books on sale now. Buy your 2019 Basketball books with us today. We have many Basketball books to choose from and each purchase comes with the ease and convenience of Sportspool's online experience. 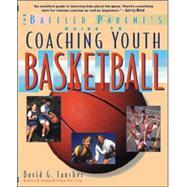 We hope you find the Basketball book that is perfect for you! "A history of the popular sports franchise reveals their lesser-known origins on Chicago's south side, the team's struggles with racism and segregation throughout the twentieth century, their role in the formation of the NBA, and their reemergence as international sports stars. Reprint. 15,000 first printing." "David G. Faucher shares his successful 'full-participation model' of coaching youth basketball in this Baffled Parent's Guide. Faucher, the head coach of the men's basketball team at Dartmouth College, covers creating good habits ... offensive skills and defensive basics ... dealing with parents ... first aid and safety ... and game rules." "''That camp changed how I felt about basketball and my future. It was the turning point in my life.' --Michael Jordan Before there was a Nike or Adidas camp for the nation's elite high-school players, there was Five-Star. Now in its37th year, Howard Garfinkel's Five-Star camp has produced hundreds of NBA and Division 1-A college players, including such superstars as Michael Jordan, Isaiah Thomas, and Vince Carter. 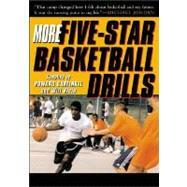 In 'More Five-Star Basketball Drills, the author offers readers his one-of-a-kind, exclusive guide to the superstar camp's most successful drills, straight from the personal notepads of some of the nation's most successful professional and college coaches. Coaches and players looking for a proven hoop drill program will find: More than 100 fundamentally sound and easy-to-execute drills An inside look at Five-Star's sure-fire plan for improving one's game Exclusive photos from the camp's illustrious history"